Sunday morning worship is the highlight of our week. It is the most consistent time we get to help kids, age newborn through 5th grade, foster connections to God through Jesus, to adults who care deeply about them, and to one another in lasting friendships. Below are a few things to know about Sunday mornings that you might find helpful. Check your child in using our easy and secure check-in process. Name tags and security stickers ensure that all kids are easily identified and in the correct group. Save your security ticket to give to your child’s leader at check-out. Worship is just as important for kids as it is for adults! 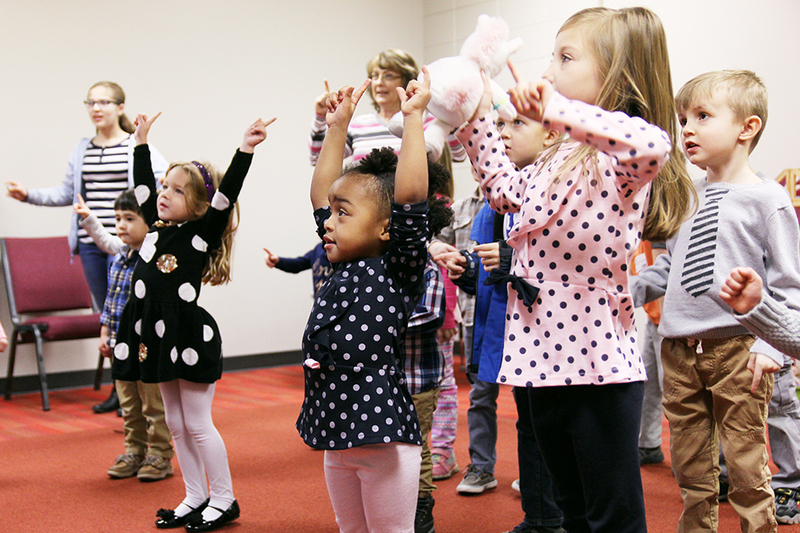 Each week children experience large group worship, biblical storytelling, and small group application. We recognize that faith developed as a child lays a foundation for life-long discipleship to Jesus. Small groups are the best way for kids to feel connected. We strive to have consistent leaders with every group of 8-10 children. All leaders are screened, trained, and enthusiastic about their role in leading children. In fact, if you’d like to learn more about how you can get involved, take a look at our Volunteer Descriptions page. Communion is central to our worship experience. 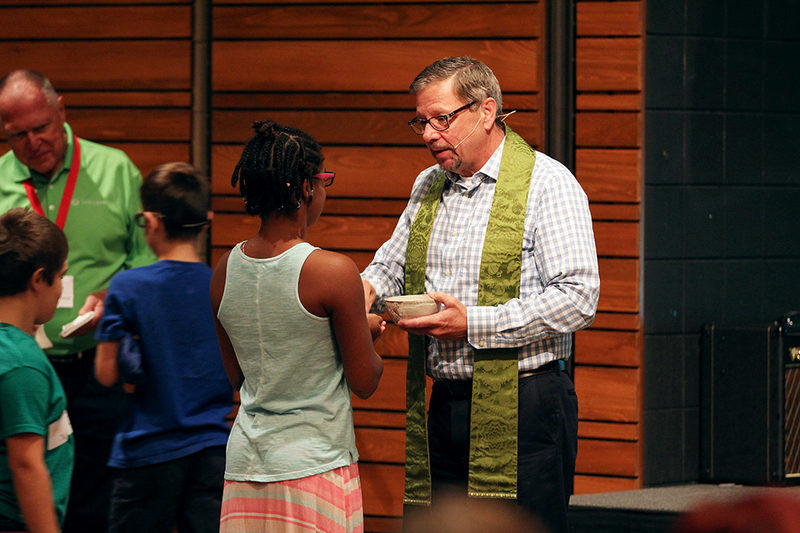 School-aged children are brought into the adult worship space to receive either communion or a blessing. (At check-in, parents are asked to mark their child’s name tag with a “C” or “B” to indicate their preference.) The kids will then return to their room to finish the morning with their small group leaders. This practice aligns us with the Anglican value of the entire church body sharing from one Table. Our goal is to partner with you in the spiritual formation your kids, and Sunday morning plays just one small role in that. Keep up with all that’s going on with Christ Church Kids on our Facebook page. We post regularly about what our kids are learning, photos, and resources. Keep up with all that’s going on on our Facebook page. We post regularly about what our kids are learning, photos, and resources.